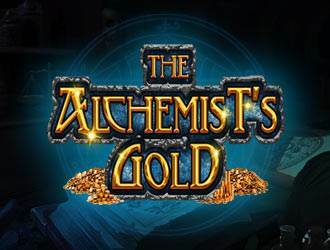 The Alchemist’s Gold is a slot game developed by 2 by 2. It is a mystic-themed slot game that is played on 5 reels, 3 rows and provided with 40 paylines. This slot takes its inspiration from the art of magic. The reels of this slot are set in the lab of a scientist and also on a dusk rock lamina. The main attraction of The Alchemist’s Gold is the deep knowledge of alchemy. In this slot, the gamblers will also come to know that how the led can be converted into gold. Through this slot, you will be transported back to the middle age where the alchemists used to do their magical experiments. Here, you can set the minimum bet at £0.40 while the maximum goes up to £40. You can also expect to see The Bottles Of Potion, Shields, Pendants, Goblets and Silver Bars apart from the Playing Card Symbols. The wild symbol included in The Alchemist’s Gold is the Alchemist himself. This wild icon replaces all the other symbols except for the scatter symbols. This wild can emerge only at the 4th and 2nd reel. Whenever the wild symbol lands as the full-stacked at the reels, then the Alchemist’s Feature will get activated. In this feature, all the symbols which are present at the reels will convert into their gold analogue. Now, you will get the payout that depends upon the gold paytable. This slot includes two of the Scatter Symbols, Golden Rock and Purple Rock. The Gold Scatter pays out whenever you land 2 or more Gold Rock Symbols at any place on the reels. The Purple scatter pays out whenever you land 3 or more Purple Rock symbols at any place on the reels. The Free Spins Feature will get activated whenever 3 or more Scatter Symbols will be landed by you at any place on the reels. Through this feature, you can have a chance to win about 20, 15 or 10 spins, that depends upon the number of the activating symbols. The Alchemist’s Gold is a game that comes with excellent graphics and a mysterious theme. You can win a total of about 80,000 coins in any spin through this slot. The return to player percentage of this game is 96.02%.